Stain and water-resistant microfiber gloves are fleece lined and insulated with Leather palm reinforcement. 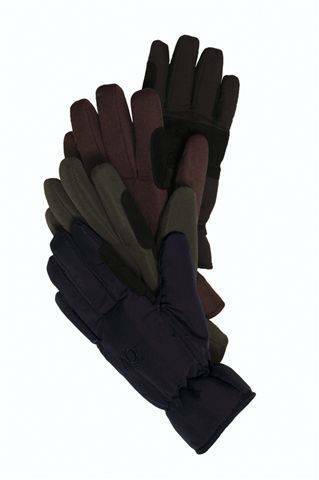 The Julia Winter Glove is an elegant women’s glove with a slim silhouette and Roeckl’s unique second skin fit for excellent tactility and grip on the reins. The backhand is Roeck-Proof Ural, a Goretex windproofing material exclusive to Roeckl, embossed with a diamond pattern. 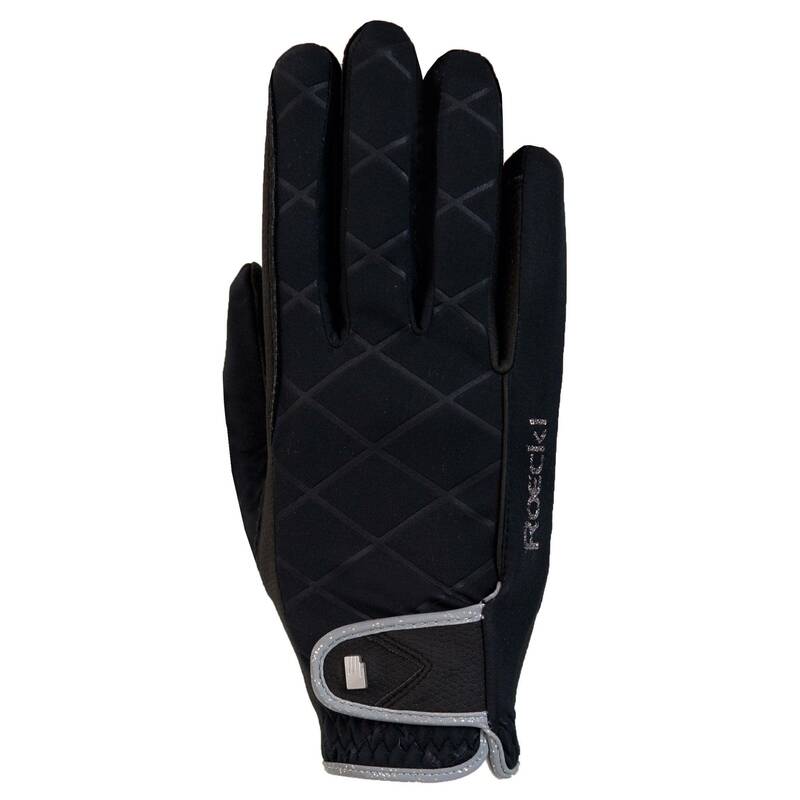 The palm is Roeck-Grip laminated to a soft fleece lining for maximum warmth and minimum bulk. The sparkling trim and logo give this glove a fashionable touch. Comfort Cut for close contact feel and performance. These driving/riding gloves are made of genuine Goat Analine Skin Leather. They are black and have anti-vibration gel for a more comfortable riding/driving experience. These gloves are unlined and have a velcro closure on the wrist for a more pleasant fit. These PU leather gloves are are made with the perfect amount of stretch, allowing full freedom of movement at the fingertips. The lightweight fabric is comfortable and perfect for year-round use. The perfect fit of these gloves with velcro closures is unmatched, providing both high comfort and clean, crisp look. A great choice for schooling especially in warmer climates. These gloves have the finest synthetic suede on the palms for exceptional grip and sensitivity. Reinforced to reduce wear and tear from rein contact and articulated fingers for a smooth, enhanced fit are only a few benefits of these beautiful gloves. A thin stretchable mesh on the top provides maximum breathability and flexibility. Comfortable and breathable racing gloves made with light two-way spandex material and suede leather on the palm, with digital silicon print for extreme grip. Grip is also applied between the index finger and the middle finger. It has a relaxed fitting, and velcro closure around the wrist. The ultimate in feel, grip, breathability and finally, durability. Attractive digital pattern increases grip and wear.